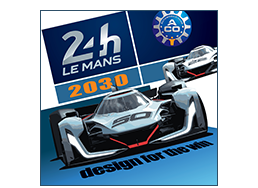 2017: Le Mans 2030: Design for the Win. 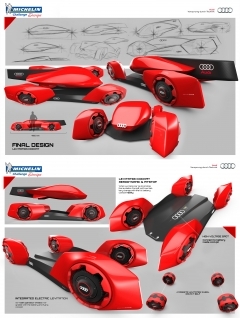 Andhika Dimas has been interested is sketching cars since his childhood. He is excited to contribute to the automotive design industry and is looking for an internship in automobile design. 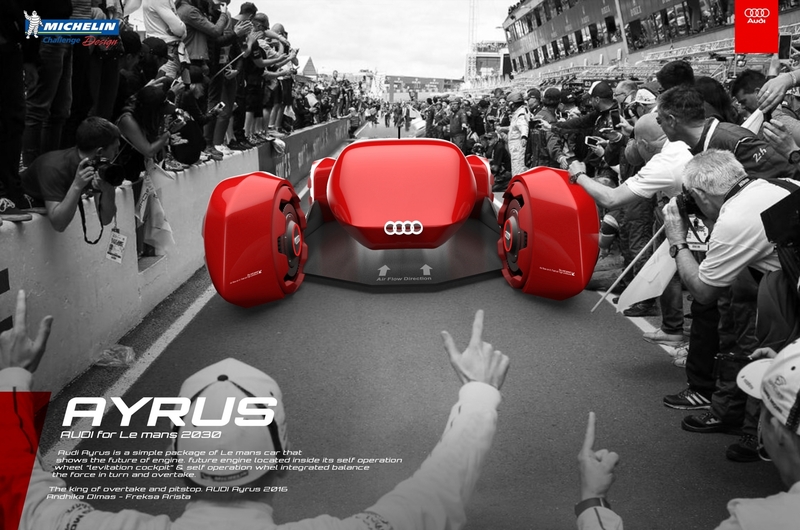 Freksa Aris likes sketching since he was child and he is currently studying industrial product design. 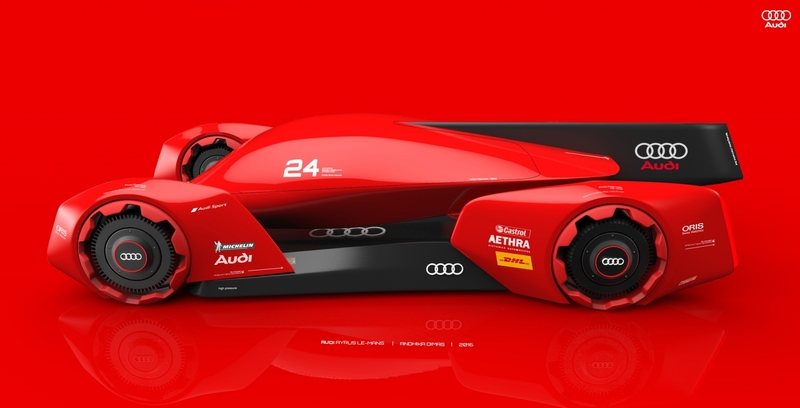 Based on the Le Mans race track, it has 21 curves, which is more chances for AUDI to develop its 2030 Le Mans car. Audi Ayrus is a simple package of a Le Mans car that shows the future of engine which isn’t an engine, but its wheel. 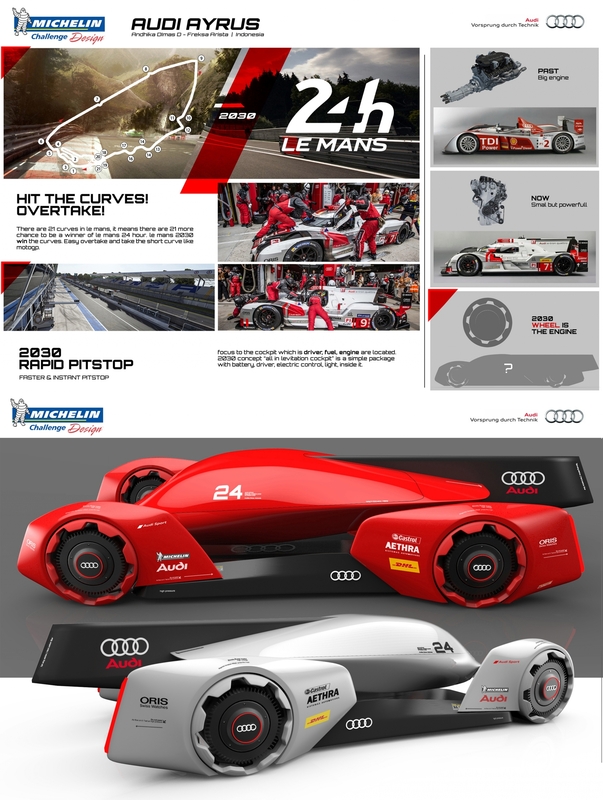 We focused to 3 items that could improve AUDI Le Mans car’s ability: overtakes, self operation wheel, and instant rapid pit stop. This Le Mans car has 2 parts, that’s flying levitation cockpit and the main part below levitation cockpit. 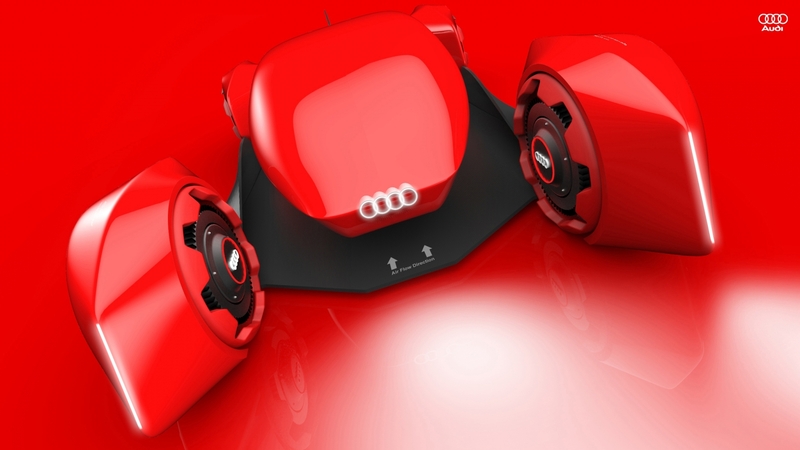 The Levitation wheel as an electric engine powered by Li-ion Battery inside cockpit. When the car is in for a pit stop, the cockpit with low battery change with cockpit with full battery rapidly, so it improves the quality and speed of pit stop time. 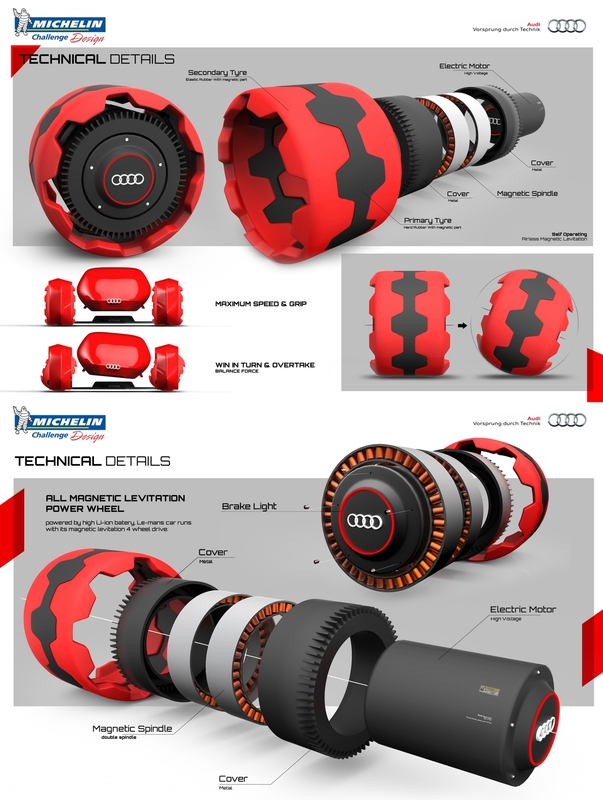 The wheels have unique engineering design. It’s airless tire because of the material contain magnetic part which the surface can be controlled by itself. 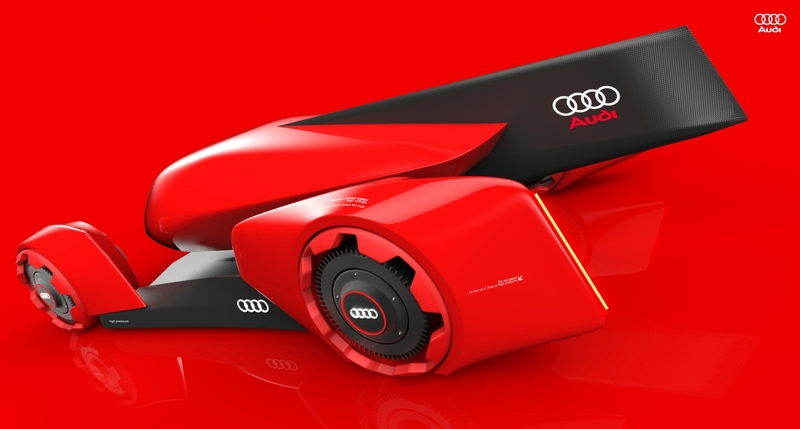 It makes the driver easier to take the shortest curve when overtaking.